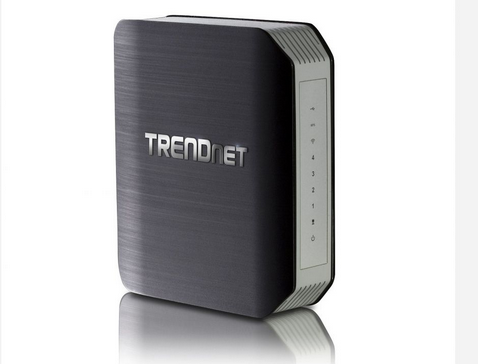 TRENDnet has launched TEW-812DRU, AC 1750 Dual Band Wireless Router in India priced at 15,550 INR. This router claims to easily handle demand for multiple HD streams all simultaneously and will come with 3 years of warranty to protect your investment. This router manages the 1300 Mbps Wireless AC band for the fastest wireless available and the 450 Mbps Wireless N band to connect with the common wireless devices. Needless to say, Wi-Fi Protected Setup (WPS) wizard connects other WPS supported wireless adapters with ease. You can also create a secure isolated guest network for guest internet access with restrictions. Along with the support for next generation Wireless AC and IPv6, this router will offer you Firewall protection with Network Address Translation (NAT). This router will provide you with fast and smooth wifi and is priced at Rs.15,550. The product carries a warranty of 3 years and is available with TRENDnet national distributor Abacus Peripherals Pvt. Ltd.